Next, they personalize their pet by choosing everything from its color to its favorite activities and hobbies. Once their pet is created, they then enter an immersive fantasy land with hundreds of different locations and activities players can engage with. Some players enjoy playing mini-games that can earn their pets extra virtual money. Mini-games are generally small, self-contained games that players can jump in and master with ease. 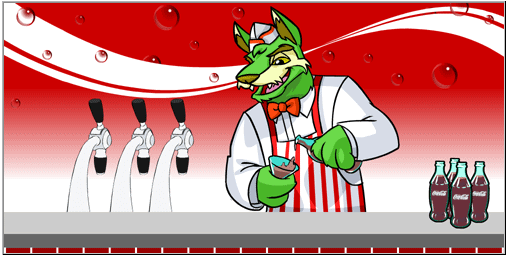 Players who do not normally play video games tend to find mini-games like the ones found on Neopets far less intimidating than more complex games that require them to master a large system before being able to do well. At the same time, if they get bored with one mini-game, they simply move on to the next. Other players choose to earn money by taking on virtual jobs. For example, a number of plushie tycoons have set up virtual factories to produce virtual toys for sale within the game. Here the players need to constantly manage their factories, monitor supply/demand, buy all the necessary raw materials, manage a staff of employees, buy new industrial facilities and export their goods. As players continue to explore the virtual worlds, they find a series of online comic books narrating a backstory to each of the realms they visit. Often the plot leads to a conflict the players can have their pets participate in, using the story plot for hints. 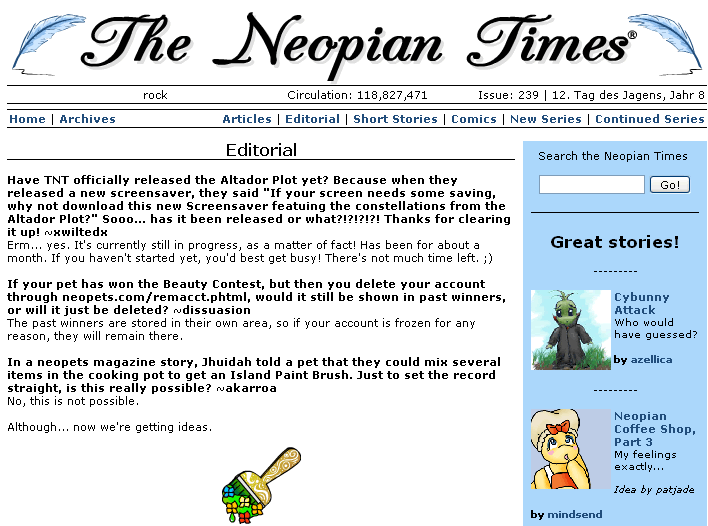 At the core of Neopets, then, is its extensive community interactions. Here players can socialize, compete in beauty contests, and generally show off their pets. Some choose to author poems and newspaper articles for others to read. Extending off of the early Tamagochi craze of the mid nineties, taking care of virtual characters (animal or human) has become the single most popular game activity today (for kids, teens and adults). Cyworld captures almost a third of Korea's entire population (including 90% of its teen population), The Sims 2 dominates offline computer game sales and Neopets captures hundreds of millions of online players. 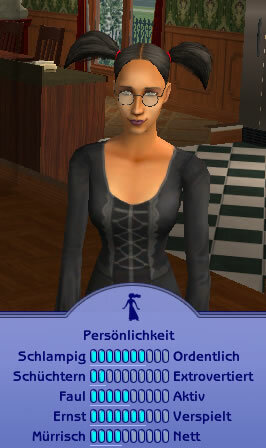 Like The Sims 2, Neopets requires players to analyze different characteristics of a virtual character, then guide them through the everyday activities most relevant to their analysis. 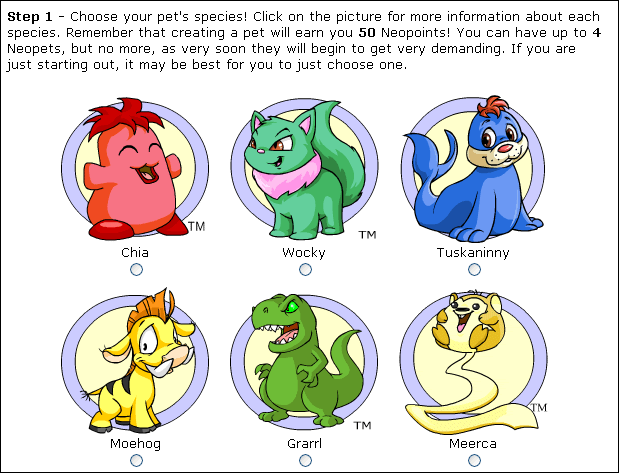 Being web-based, Neopets also opens up the possibility for any tools and browser enhancements to aid language acquisition to be easily layered on top of the game using standard web programming techniques. As minigames are often simple enough to be constructed mostly out of middleware components, the techniques described in the middleware section of this document could easily be applied to create language learning mini-games in a neopia-like universe. Comic books have long been recognized as an excellent means of providing students with L2 reading material with rich visual contexts. 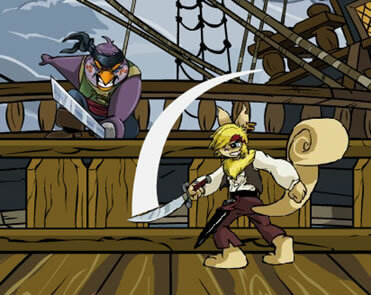 Comic books in Neopets go a step further by incorporating all the context one develops by exploring the game world. Additionally, players are motivated to test their comprehension of the comic books by applying knowledge gained by reading the stories in the game world. In the comic above, players are given a hint that when doing battles in the desert, heavy blunt weapons will be more effective than sharp ones. 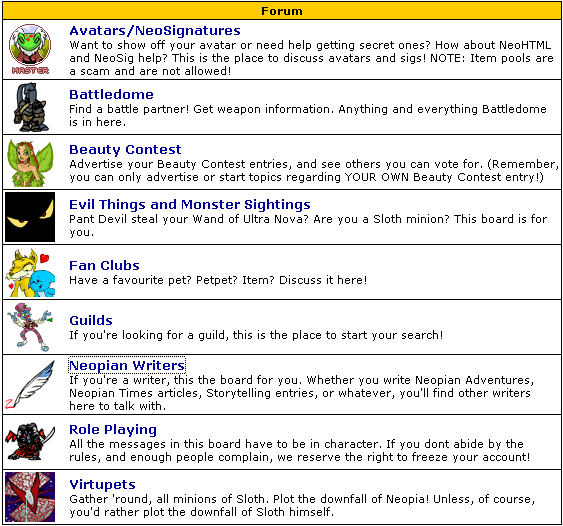 As social networking is already a key activity in Neopets, social networking language learning activities could easily be integrated into a Neopian language learning universe. With the large fan fiction community that forms inside a world like Neopia, such an environment actively encourages peer-to-peer language learning such as that documented by Rebecca Black. 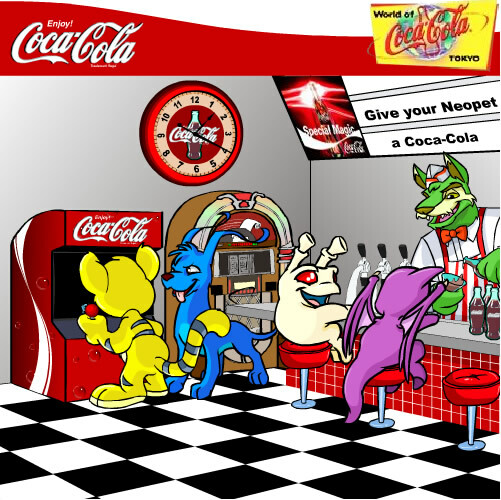 In fact, competitors to Neopets, such as GoPets, are able to create vibrate cross-lingual exchanges by incorporating a simplified pictorial version of the interface described in the middleware section of this document. Media literacy scholars decry practices such as this as blatant attempts to manipulate children. Advertisers often defend their craft by claiming they do not seek to manipulate their audiences, rather their job is merely to inform and familiarize them about their various product offerings. For educators, it is clear that manipulating children goes against our fundamental mission and should not be pursued as a source of funding the development of curricula materials. And it's a tough sell to claim that American kids today really need to be 'informed' or 'familiarized' with their options for cola beverages. Though, what of a kid in China? ESL classes often role play navigating through authentic branded spaces to prepare students for living in a, perhaps unfortunately, highly commercialized American landscape. Though, they sometimes gravitate to the stereotypical brands (Ordering from McDonalds, buying a Coke-a-Cola). Charging competitors (Burger King, Dr. Pepper) for inclusion into simulated role play experiences would provide a rich enough revenue stream to propel the education industry forward, broaden students familiarity with the number of brands out there and extend already existing pedagogical practices. For companies looking to expand into international markets, familiarizing kids with their products through virtual role play experiences provides a far deeper connection to their product than any other form of advertising. After seeing the success of product placements in worlds like Neopia, savvy entrepreneurs will undoubtedly be experimenting with product placement in learning environments. There are, of course, numerous ways in which this could quickly become exploitative -- and it would be naive to belive this can be altruistically prohibited. Therefore, it is important that we preemptively begin exploring ways in which the process of familiarizing students with brands can be ethically monetized, while finding ways to empower kids to be able to respond to any attempts to manipulate them (see link below).